Chemistry 1 VCE Units 1 and 2 eGuidePLUS (Online Purchase) provides teachers with online support through instant access to student and teacher texts plus a complementary set of extensive, customisable assessment (including SACs) and curriculum materials to make teacher planning and preparation easier. 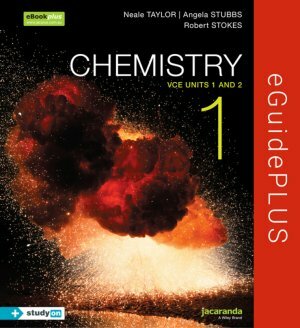 • studyON VCE Chemistry Units 1 and 2 is fully integrated with the student text. studyON is Jacaranda’s unique study, revision and exam preparation tool. What are organic compounds used for? How do organic contaminants enter water?